PakPassion.net continues to bring its members and guests information on the best upcoming talent in Pakistan, with another in the Talent Spotter Series. PakPassion caught up with 23 years old solid and consistent batsman for ZTBL, Haris with a view to finding out a little more about him, how he got into cricket, his favourite players and his career aspirations. We present the profile of Bismillah Khan who is a 22 year old wicketkeeper batsman. He plays for Quetta and made his first class debut in the 2009/2010 season and has played 26 first class matches and 15 List A matches. Just 24 years of age, Aqeel Anjum has some excellent performances to his name and continues to impress all observers of the domestic game. In an exclusive interview with PakPassion.net, he takes us through his career development, his views on the Pentangular Cup as well as improvements that he can make to his game. Umar Waheed is a right handed middle order batsman who has recently been a regular selection in the Pakistan Under 19 side. His batting is complimented by the ability to bowl medium pace and off spin. Ahmed Jamal, 23, is a right-arm pace bowler hailing from Abbotabad. Viewed by many pundits and coaches as a future Pakistan international, Jamal spoke to PakPassion about his development as a cricketer, future aspirations and his playing career to date. Imam-ul-Haq is a left-handed middle order batsman from Lahore. One of Pakistan’s most promising talents, Imam is the nephew of the Ex Pakistan captain and batting maestro, Inzamam-ul-Haq. PakPassion.net speaks to the tall 19yr old pacer, Ehsan Adil, about his development as a cricketer from an early age and all the way through to the Under 19 level where he represented Pakistan at the ICC U19 World Cup. 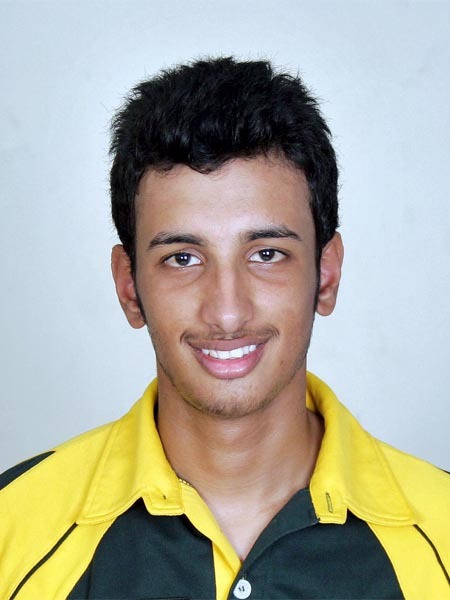 PakPassion’s latest talent spotter is 18 year-old Rawalpindi-born all-rounder Mohammad Nawaz. Nawaz has represented Pakistan at a number of junior levels and was selected for the Pakistan Under-19 side which played in the Asia Cup and World Cup earlier this year.